In letters to Clyde released by Bonnie’s mother Emma shortly after her death, we can get a glimpse of how Bonnie felt as she sat in the house on 1406 Cockrell Street in Dallas. Living there with her mother who was a widowed seamstress and 5 others must have left little room for real privacy. 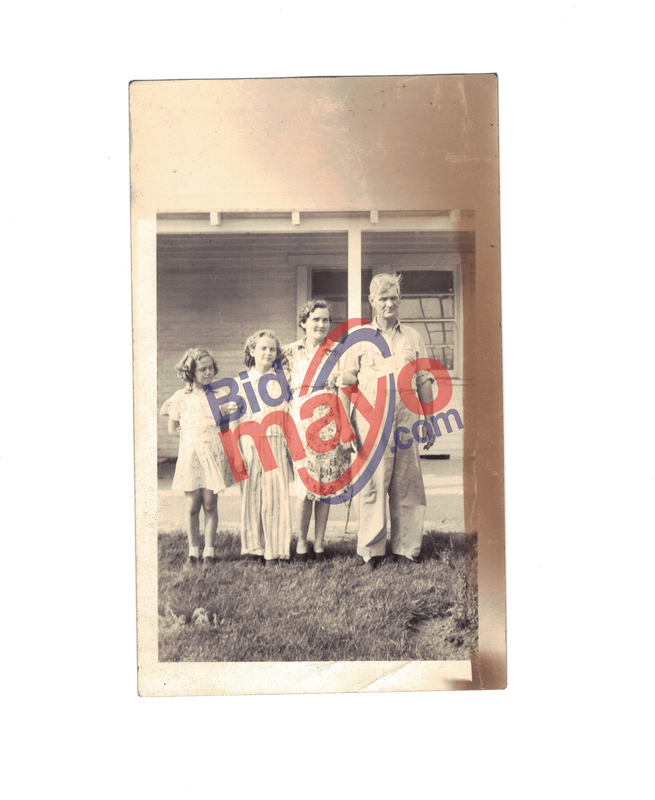 In the small rented house were also her sister, Billie Jean, and a man she had married by the name of Fred Mace along with their 8 month old son, Fred (Buddy) Mace, Jr. Bonnie’s brother Hubert also lived there with his wife Edith. Recollections by Bonnie’s Mother Emma and Sister Billie Jean have been documented in various books over the years. Undoubtedly, there was some familial bias and we can probably assume that some of the stories may not be completely factual. 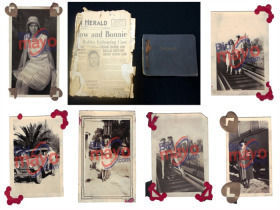 In my research of hundreds of documents and many assorted books that quote Bonnie and Clyde’s parents and siblings as well as friends and acquaintances, there are many versions of the story. Quotes and the written word could easily be tainted by memory, legacy protection or even twists of events to avoid implication in unlawful acts. Facts show that both the Barrow and Parker families aided and abetted Bonnie and Clyde. Could there be events the families have held secret for many years? Other family meet ups that were not known? Clearly Bonnie’s heart sung out love for Clyde, her devotion to him was more than evident and is the real hook to this outlaw legacy. Written accounts show they both enjoyed music and poetry. Bonnie most likely did not take the Majestic Radiola with her when she hit the road with Clyde. The Majestic Radiola was a large cabinet and a fine piece of furniture. The radio was most likely a treasured household item. The Majestic filled the home with beautiful music and most likely harrowing news in the years to come. The radio received a signal from the outside and transmitted it into the household for all to know and hear. What if the radio had been able to receive a signal from inside the home and then transmit out for all to hear? Could that have changed the story the world now knows of Bonnie and Clyde? Of course, that is an Orwellian thought and certainly not possible back in those days. However, what if, that radio actually could carry unknown insight on Bonnie and Clyde? What if instead of transmitting radio waves, it actually had been used to hide away a part of the outlaws life with their families? 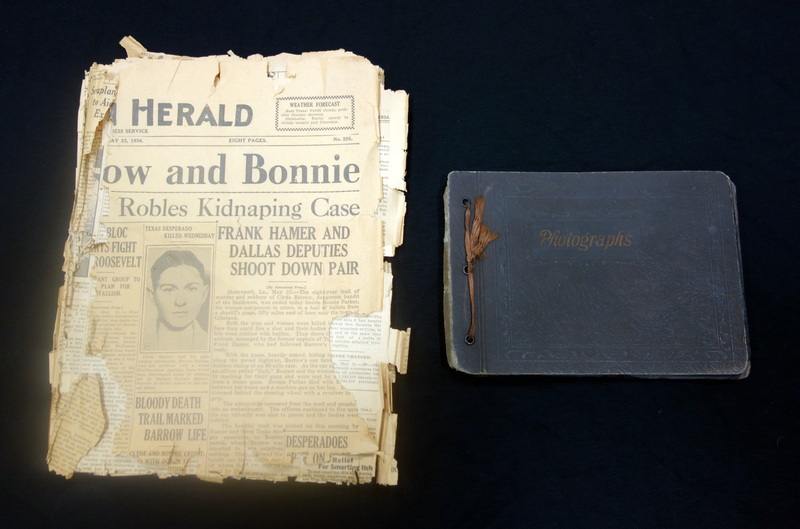 A photo album wrapped in a newspaper of Bonnie and Clyde’s death was discovered in what might have been this very radio. These are photos, never before seen, that reveal events, locations and additional family history. Some of the photos that show glamour and some show pain. These photos are stark images depicting life without the props and gangster poses. what, when, where and why. We may never know all the answers, however, we have some clues that can lead us to some of them. Determining the authenticity of photographs can be a daunting task even when the images seem obvious. The background or provenance may be only part of the puzzle. The other part involves lots of research to answer the 5 W’s explained above. Online databases, books, documents, and in some cases, interviews are necessary to support conclusions. Even then, without the original people in the photos, a researcher can really only provide an opinion. I have spent years researching many items for informational purposes or to eventually transfer ownership through private sale or auction. With the 4 years of research I have done for another project of a very well-known outlaw, I have learned that even with provenance, historical records can be very difficult to find, much less decipher. 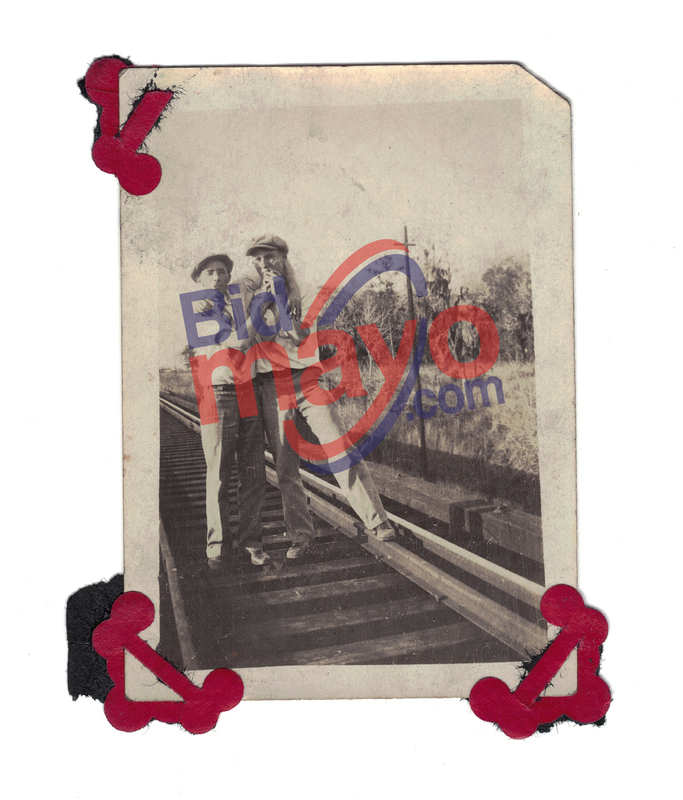 I have assembled a large collection of research on the photos being offered in this auction. In my opinion, I believe these photographs to be authentic. I believe the subjects to be of Bonnie Parker, Clyde and Buck Barrow and various other family members or acquaintances. How the photographs made their journey to this auction over the past 85 years is only speculation mixed with some fact. I invite you to now to look for yourself and I believe you will find a new perspective of these Iconic outlaws, Bonnie and Clyde. 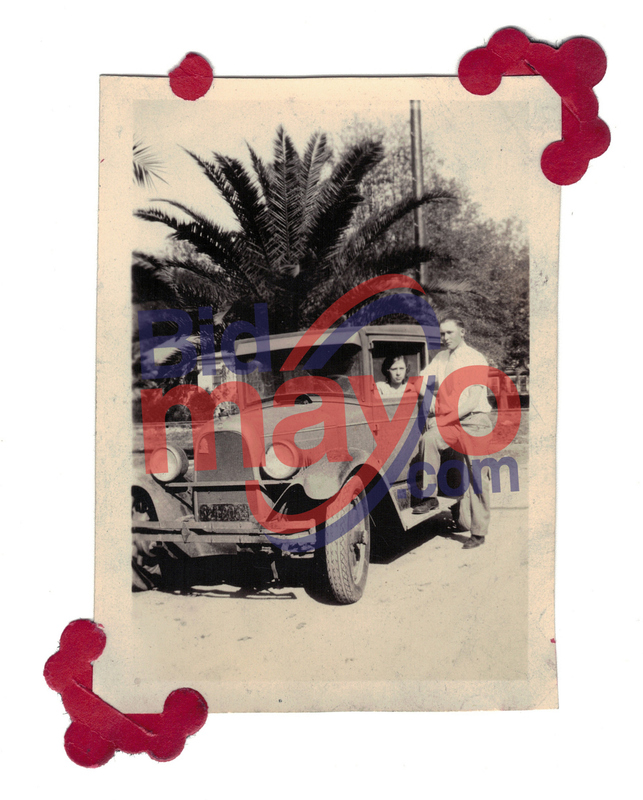 Sam and Doris – Believed to be from Krause lineage which was Emma Parker’s maiden name. 2 Infant children – Possibly Frederick (Buddy) Mace and Mitzy (Jackie) Jacqueline Mace (DOB 6/26/1929 & 11/27/1931) both died in October 1933 days apart from each other. Ed - Assumed to be Ada’s husband or ?? Some photos appear to have been taken in Denison – All these photos appear to be taken in nearly the same spot. Some at different times based on photographic similarities, plant growth and fencing. Photo of Bonnie Parker and child in Lot #16 has stamp on back from Denison. 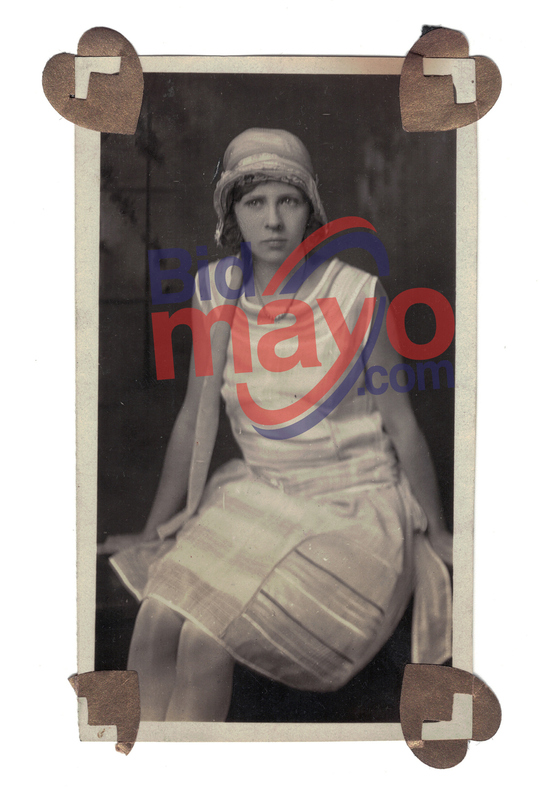 Nell was known to work with her sister Artie in the beauty shop business. Artie lived with her husband in Denison at 430 W. Sears where she had the Cinderella Beauty Shop. The multistory building in the background could possibly be part of what is now the First Baptist Church. Same child in Photo in Lot #16 - Bonnie’s sister Billie Jean had 2 young children. Bonnie was especially fond of Buddy. One photo shows Billie Jean with who it is believed to be with her daughter Jackie. The infant looks to be about a month old and if it is Jackie, the date would be around Christmas 1931. This means that Buddy would have been about 2-1/2 years old which would fit for the boy in the photos. Many Photos carry similarities – In the Galveston trip, reunion pictures of Buck, and the highway photos - the subjects, car and clothing seem to tie together. The order of events may take a lot more digging. 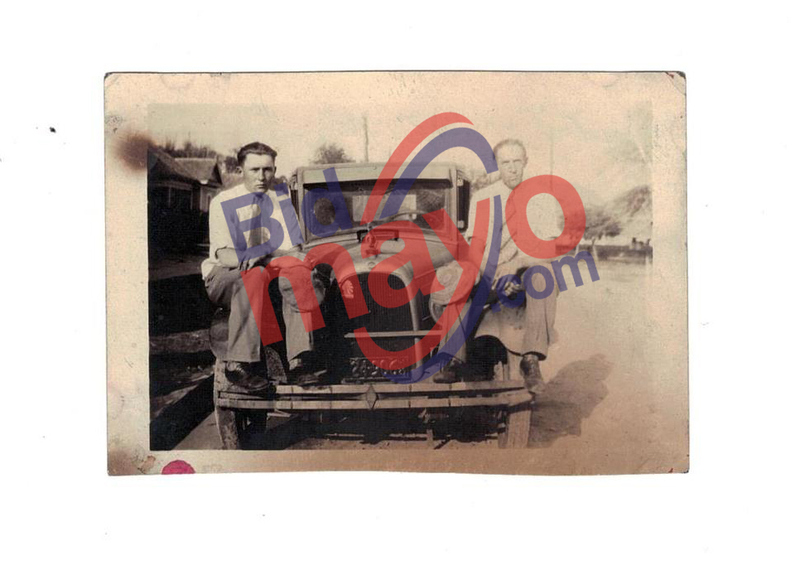 These photos may be the most interesting relative to historical timelines and locations of Bonnie, Clyde and Buck. The majority of these photos were most likely taken within a very small time frame. The only time Buck and Clyde were together was on and before 11/29/1929 when Buck was shot and arrested in Denton, TX and after 3/22/1933. It may be the later date for a number of reasons. - In Lot 19, Billie Jean is carrying a child and wearing the same dress as in photo B1. At this time Jackie would have been 16 months old. 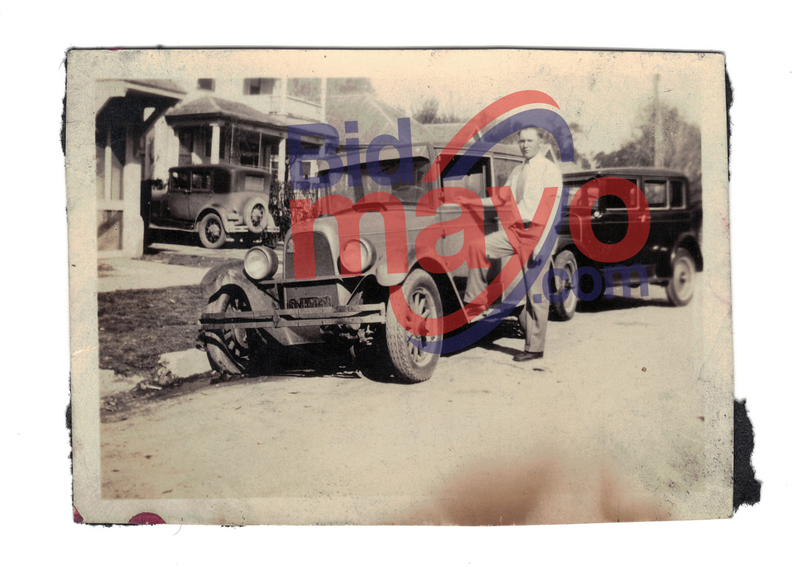 - In Lot 9, parked behind the car Clyde is standing by, there appears to be a Marmon sedan. The Marmon has the distinctive features of the 3 windows on each side and the door handles for both front and back doors located side by side. Nell bought Buck a Marmon Sedan when he got out of prison and the stories show that he had it in Joplin when he and Blanche had met up with Bonnie and Clyde. - Pure speculation….From January 26th, 1933 until Buck’s pardon on March 22nd there was no reported activity by Bonnie and Clyde. This could have been a time when they returned to Texas with W.D. for visits. Billie Jean was known to go out on the road with Bonnie and Clyde and some say that Billy Jean and W.D. had romantic interests. Could this have been right before and after Buck’s pardon? Galveston photos, Reunion with Buck photos, then Highway photos. Bonnie may have stayed behind with Billie Jean (see photo in Lot 20) then took train to meet back up somewhere. This would significantly change the narrative. Pictures possibly taken by W.D. BUYERS PREMIUM: A 10% buyer's premium will be added to each purchase. If you bid $100.00, you will be charged $110.00 at checkout. PAYMENT: Accepted forms of payment include Visa, MasterCard, Discover, American Express, local check (under $500) & cash. Vehicle assets must be paid using cash, certified check or wire transfer (Credit Cards are not an acceptable payment method for vehicles). Payment must be made prior to picking any items up. Load out staff cannot accept any form of payment. EXTEND ALL/DYNAMIC CLOSING: The auction will begin closing at Wednesday, July 11th - 7:07pm CDT. The closing time of all lots will be automatically extended an additional 5 minutes whenever a bid is placed within the last 5 minutes on any lot. Shipping Is Available! Contact [email protected] for more info and to make arrangements. LOAD OUT: Winning bidders may pick their items up at 16513 Cornerstone Drive; Belton Missouri on Thursday, July 12th from 1-5pm & Friday, July 13th from 9-12pm. Any items left after the specified load out dates will be considered forfeited unless alternate pickup or shipping arrangements are made. It will be the buyer's responsibility to dismantle & disconnect any and all equipment. Please bring your own tools, labor, packing materials & moving equipment.  WARRANTY & CONDITION OF ITEMS SOLD: All items are sold 'AS IS, WHERE IS, with NO WARRANTY expressed or implied. It is the responsibility of the buyer to determine the condition of the items and bid accordingly. Items part of a court ordered sale are subject to court approval. J.R. Dixon Auction & Realty, LLC--assets for sale at auction; personal property, real estate, commercial assets,and more!